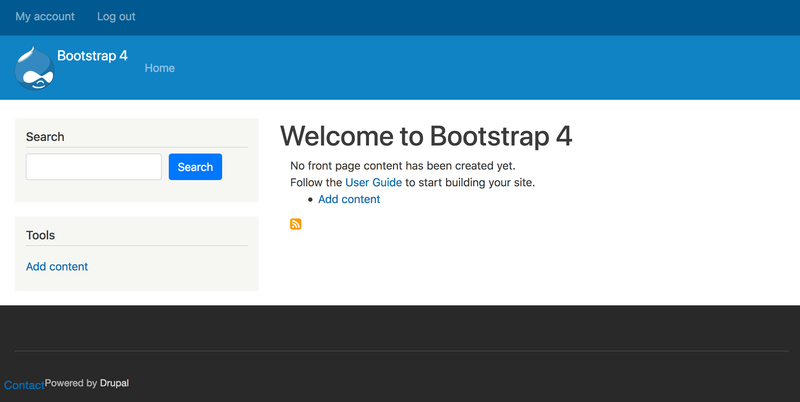 Need to compile Bootstrap 4, then look at Radix (Advanced theme which allows you to compile Bootstrap 4 locally). I can’t get a radix subtheme to build no matter which set of instructions. All of the ways to run “watch” fail. i’ve used to composer to install barrio and then copied subtheme into main theme folder, etc. but I can’t see a libraries directory anywhere? do I need to create one fresh, or should the install come with a libraries folder? Yes, you need to create a libraries directory if it’s not there. “ArgumentCountError: Too few arguments to function skinr_ui_entry_view(). 4 passed and exactly 5 exeptected…. But it was replaced by a new white page / error : “unexpected…. the module skinr does not exist…” and 30-40 lines of error code. except now whenever I click on the EXTEND or CONFIGURATION sections of the site I get many lines of errors and warnings relating to skinr being missing. any idea how i deal with this? First, maybe Skinr is not compatible with Barrio. Now if you’re getting an error once removed, means that there’s some configuration in your site pointing to skinr. One workaround is to add the module back in, then remove any configuration around the module then remove the module. Have some question: after using Barrio Theme on my D8 site and I feel already follow all your tutorial above, my Barrio theme layout seems not in proper place. Sorry, I don’t have any experience with RTL.